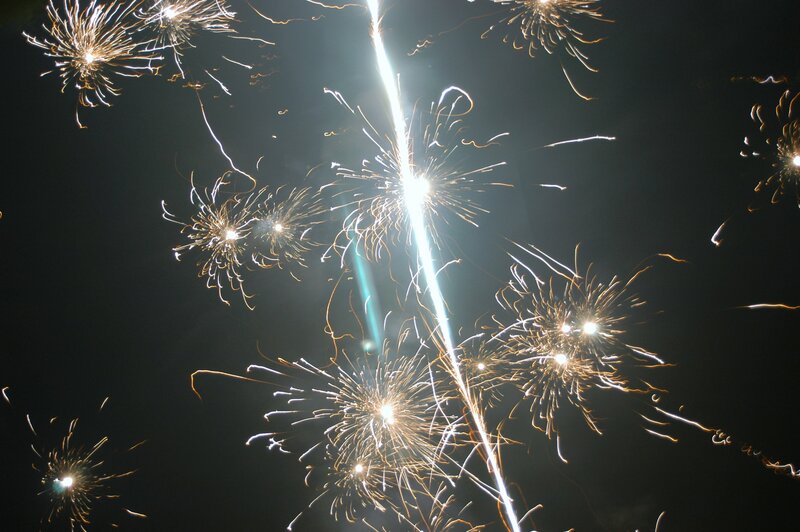 Yesterday we went to my bestest friend’s house to celebrate Independence Day. 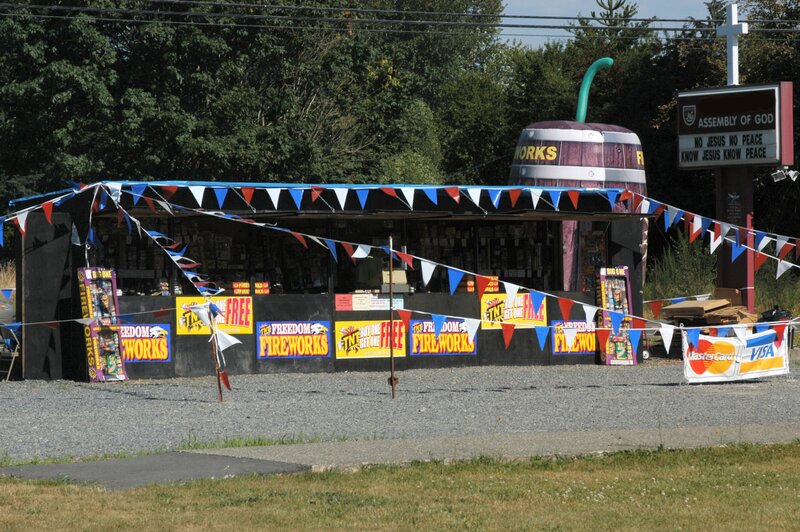 As we started to park I realized that we had forgotten to stop at one of the zillion of firework stands that always pop up at this time of year and pick up some fireworks. That’s usually Shaun’s domain because I just don’t “get” why we need them…and mostly why we needed so many of them. 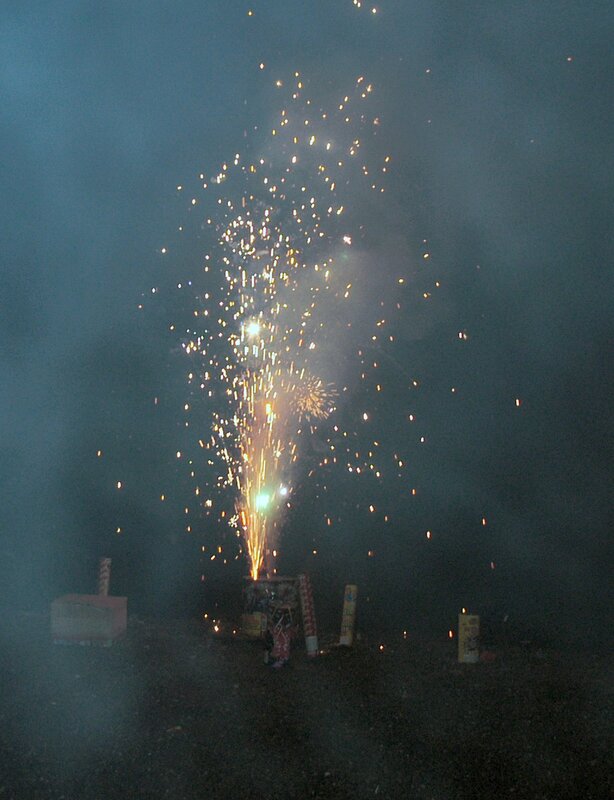 I needn’t have worried as there was a MOUNTAIN of fireworks just sitting there, anxiously waiting to be ‘sploded. All us womenfolk hung about the kitchen preparing the meal, chatting and enjoying lovely fresh fruit “slushies”. The men were outside pretending to talk about important manly things while avoiding the one thing they were all thinking about…the Mountain of Exploding Things. Now these friends happen to live on a lake. So, the very moment it could possibly be considered dark(ish) all the guys were out on the beach ready for action. As were all the other menfolk all around the lake. All the other very competitive menfolk… I realize this photo of one small batch of fireworks is really hard to see…all that blur is smoke from the massive amount of fireworks the guys were setting off. 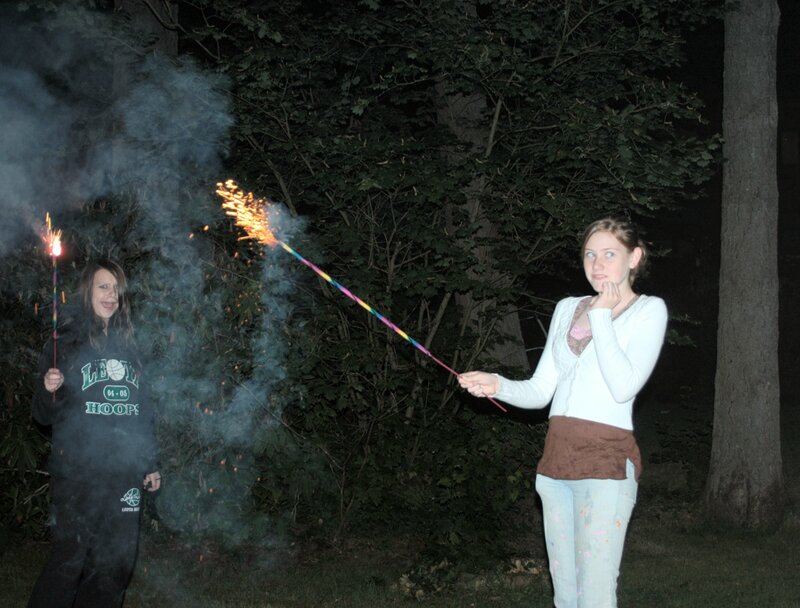 The girls on the other hand were thrilled to play with the snappers you throw on the ground for a little “bang” and with the lovely sparklers. I’m not sure, but I’m pretty sure the boys were disgusted with the girls for not being more excited by the huge explosions. We had a wonderful evening. I really think that the show that everyone at the lake put on was better than a lot of professional firework shows. I don’t even want to know where they got some of those fireworks. Our hosts were vowing that next year would be even more spectacular. I can’t wait! This entry was posted in Ya gotta have friends!. Bookmark the permalink. Wow! I love that last picture! :o) Sounds like you had a great time. Love the pictures. Great stuff. When I was a kid we went to the lake on the 4th a few times. Got out on the party barge and watched the fireworks. It was great time. That shot of the girls is Fantastic! Their expressions are just too funny!